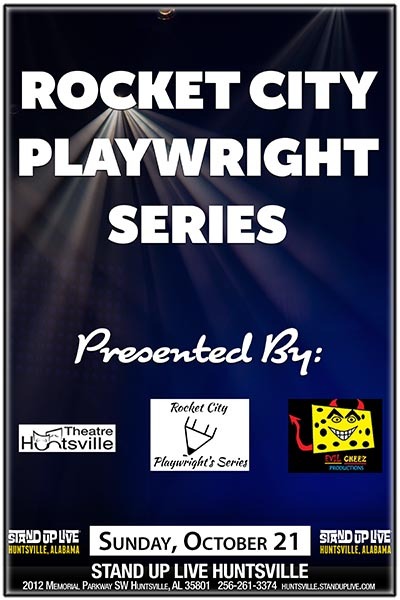 The Rocket City Playwright Series, presented by Theatre Huntsville and Evil Cheez Productions, is a readers theatre performance of 10-Minute plays by local writers. Five finalist were chosen from all of the submissions. Some are funny, some are sad, but all of the plays are entertaining. The audience will vote on the winners of the competition, so be sure to be there for a great afternoon of theatre.